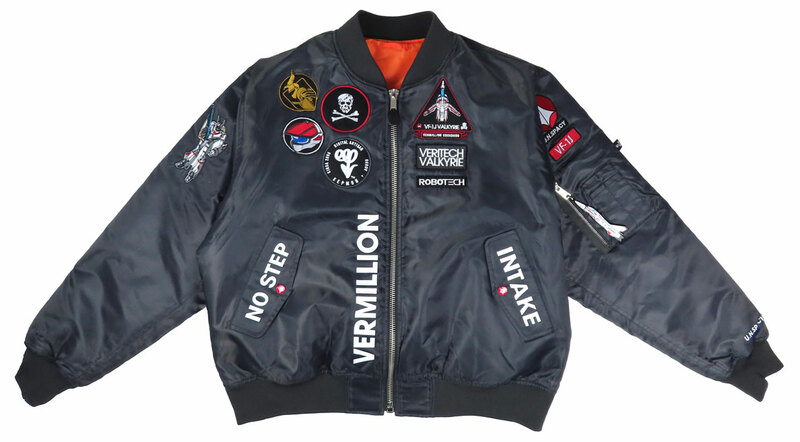 This highly limited and numbered jacket is based directly off a real fighter pilot jacket and adorned with over 10 iconic Robotech symbols and patches curated by EEPMON. 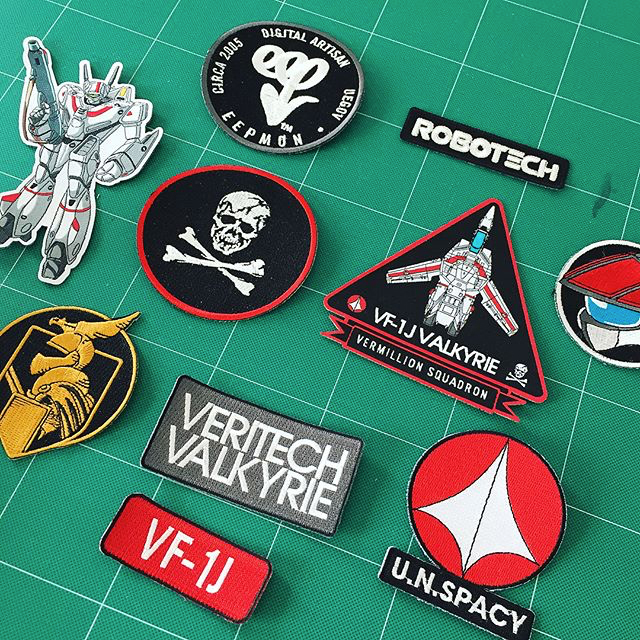 Close up on the Robotech × EEPMON patches. 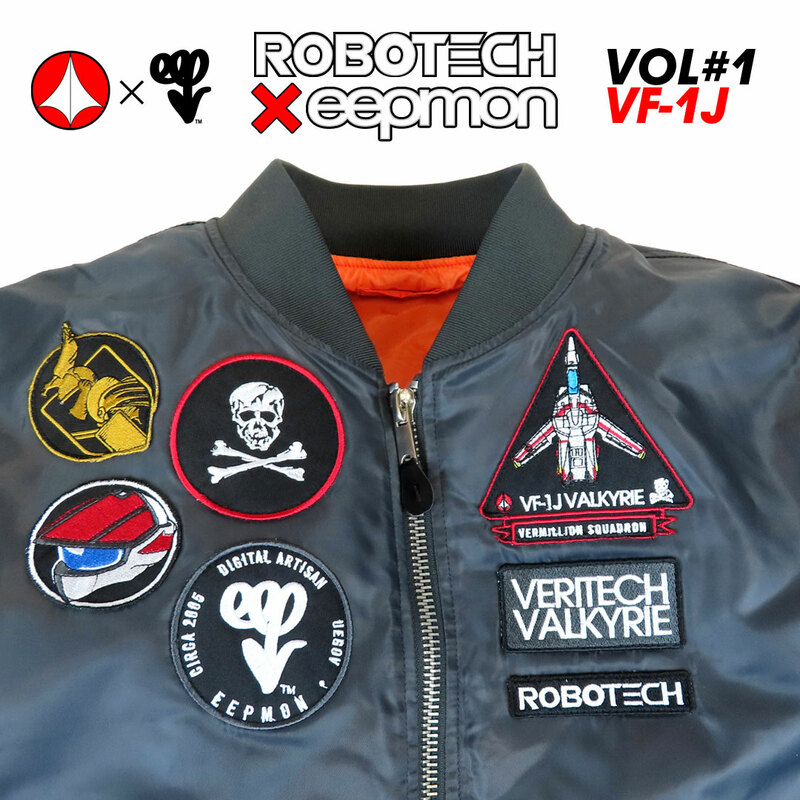 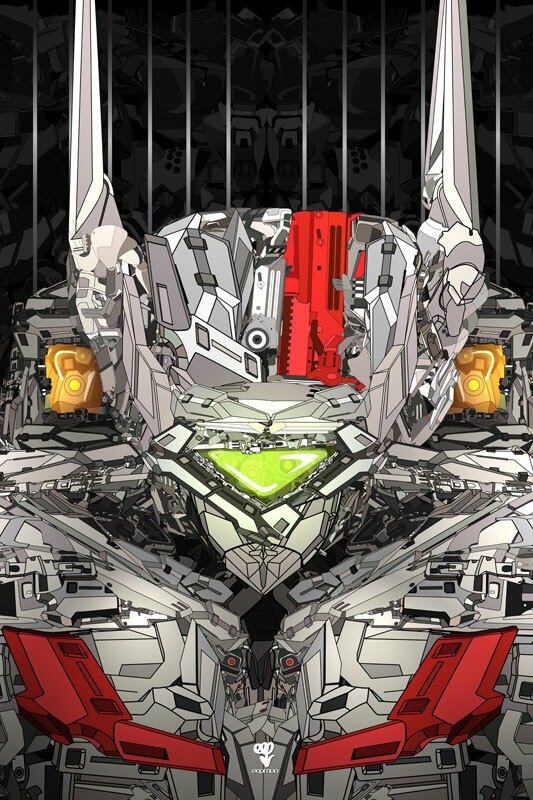 The back of the jacket features a custom VF-1J Rick Hunter image by EEPMON that blends seamlessly into the Robotech universe. 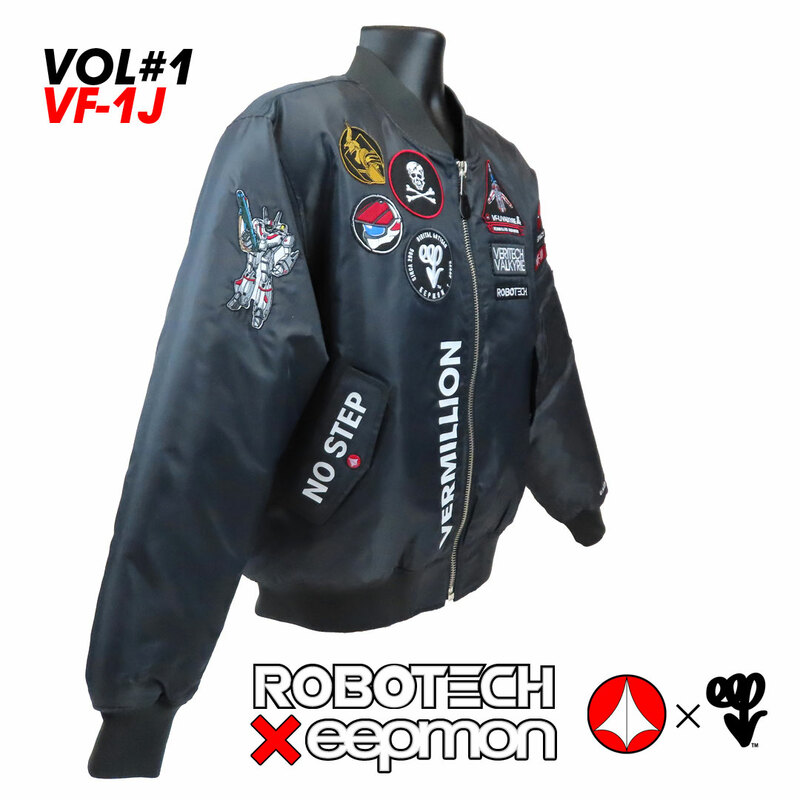 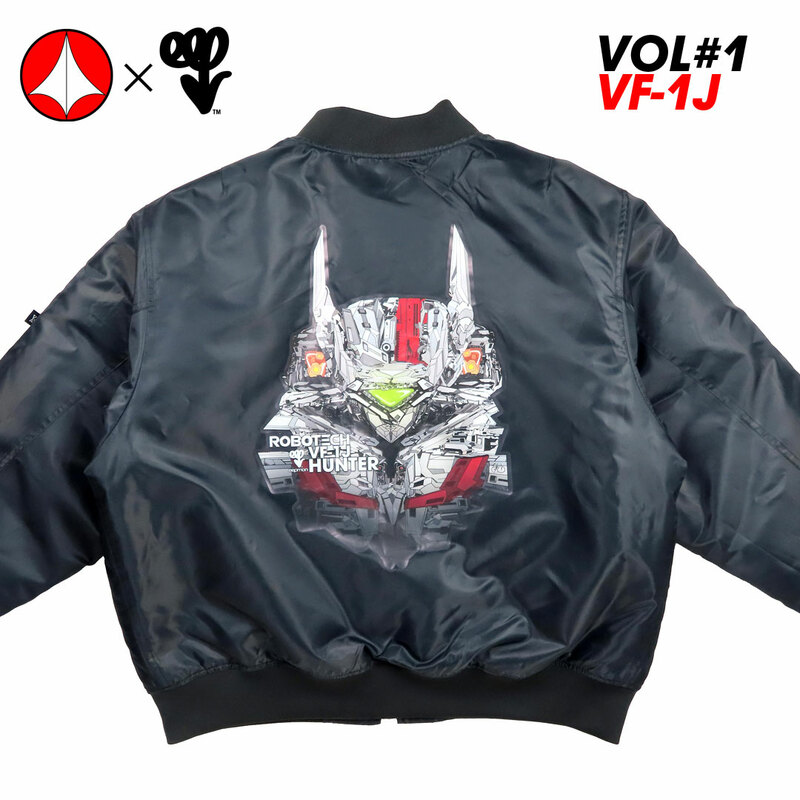 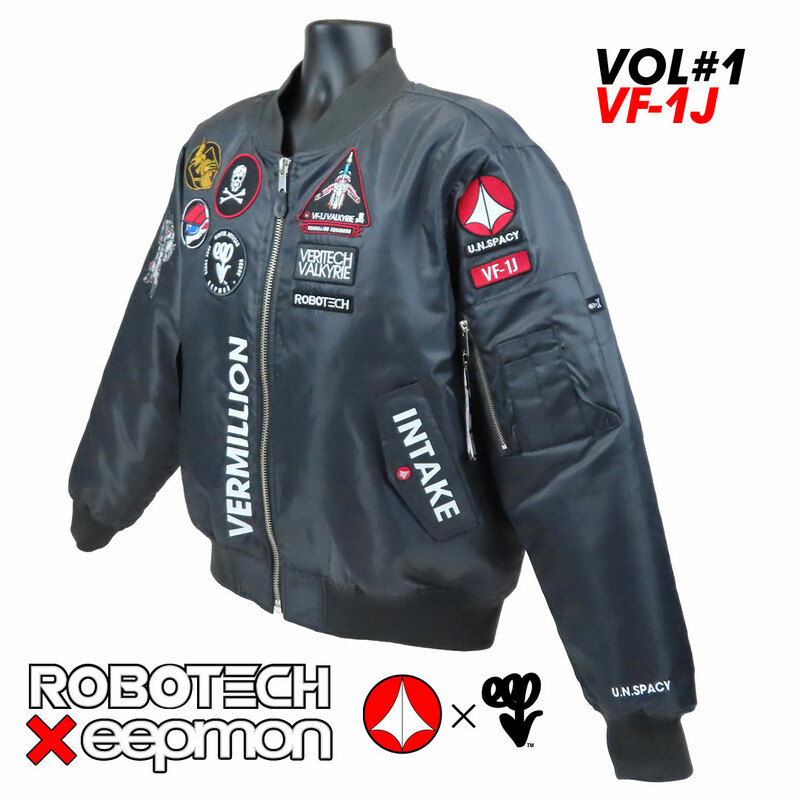 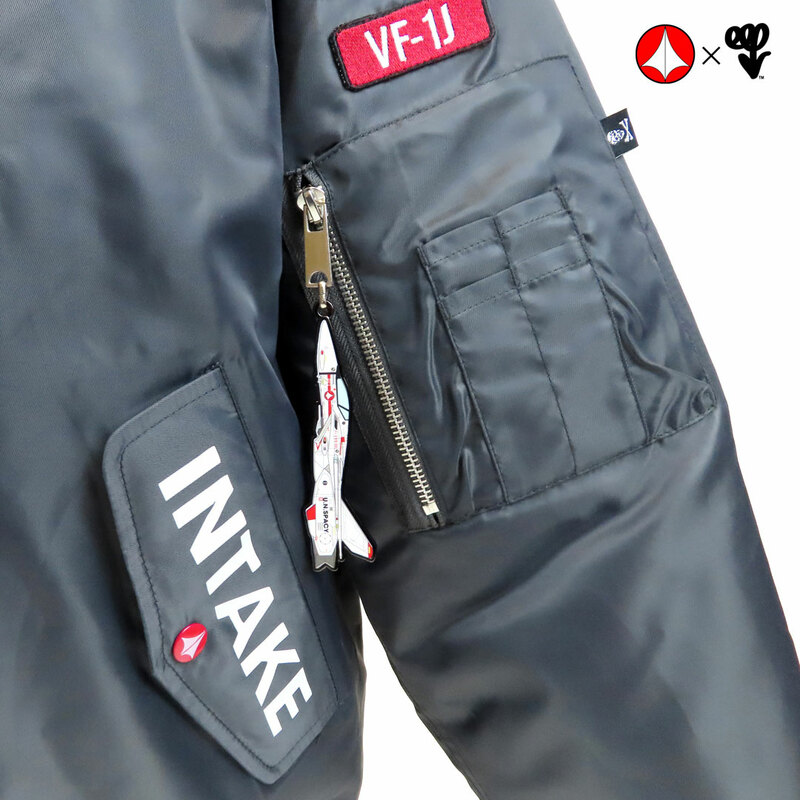 This 100% Polyester jacket (with lightweight Polyester Fill) features a die cast metal VF-1J zipper pull only available on this release. 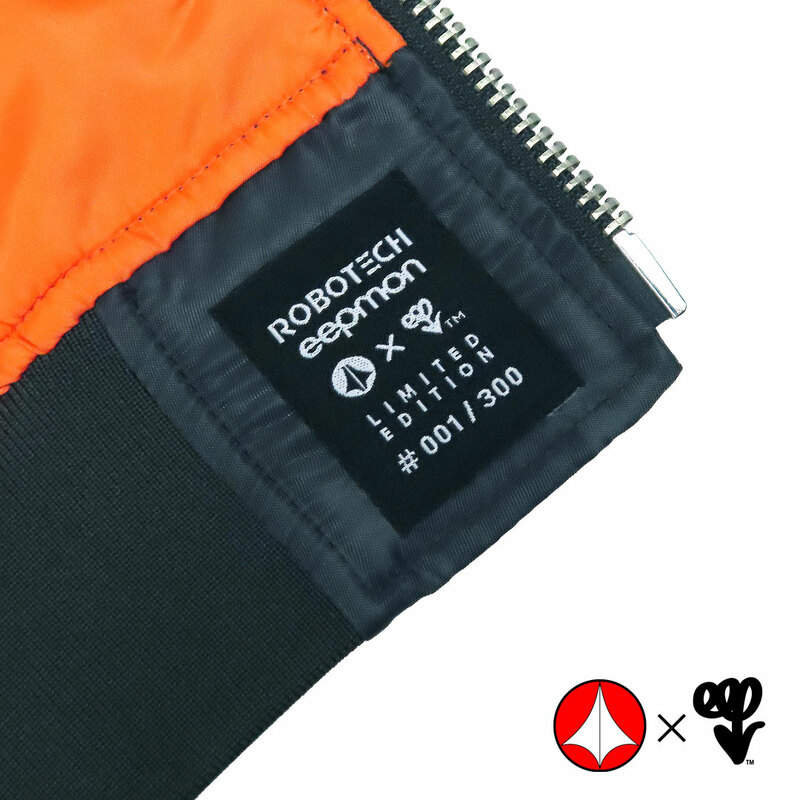 Each jacket is custom made to order and individually numbered. 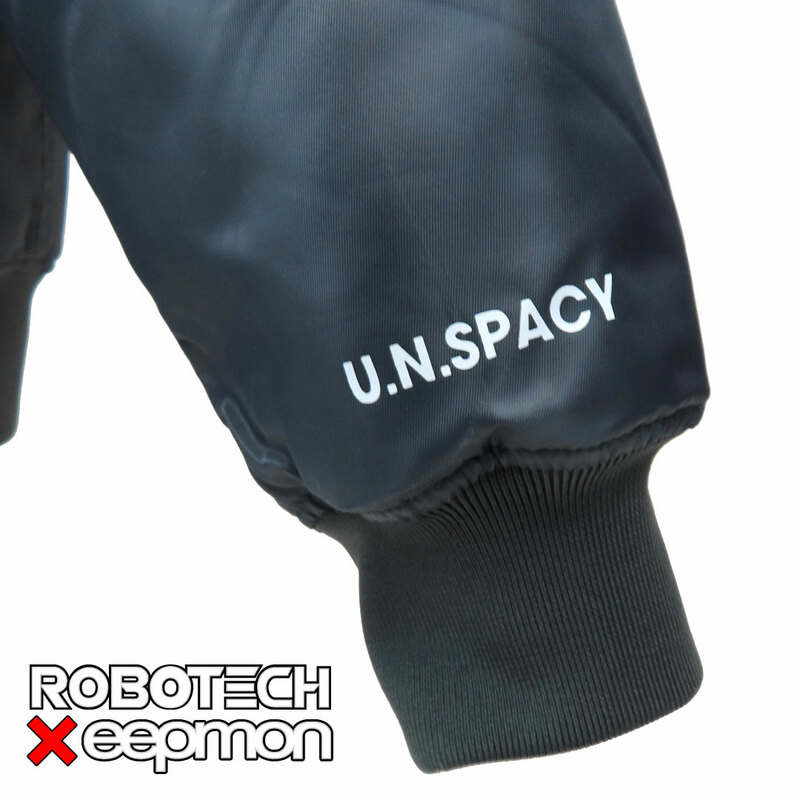 This highly limited run of only 300 units is sure to sell out quickly, so don’t hesitate and order yours today!